Less than half of people globally feel their digital needs are being met and only one third believe digital technology will create jobs. Critically for businesses, those consumers most active in taking back control of their online data and time, in ways that will make it harder for brands to engage them, are also those with the highest propensity to use digital products and services (e.g. shop online, use an app to take a taxi or stream music). This is creating a digital paradox for brands – as those most ready to embrace digital marketing and services are also the most likely to push away from them. With misuse of personal data the number one driver of distrust, businesses need to compete on openness and transparency around data usage a positive source of differentiation. By focusing on engagement, not reach brands can also maximise the value of interactions, as consumers increasingly initiate those moment themselves. Amid a growing debate around the negative impact of social media and digital technology on health, brands need to work out how they can be part of helping people undertake their own digital detox and create a loyalty premium by helping them interact on their own terms. Harness technology to enable more effective learning. The more positive people are about digital technology in terms of their own skills, the more likely they are to engage with digital products and services. 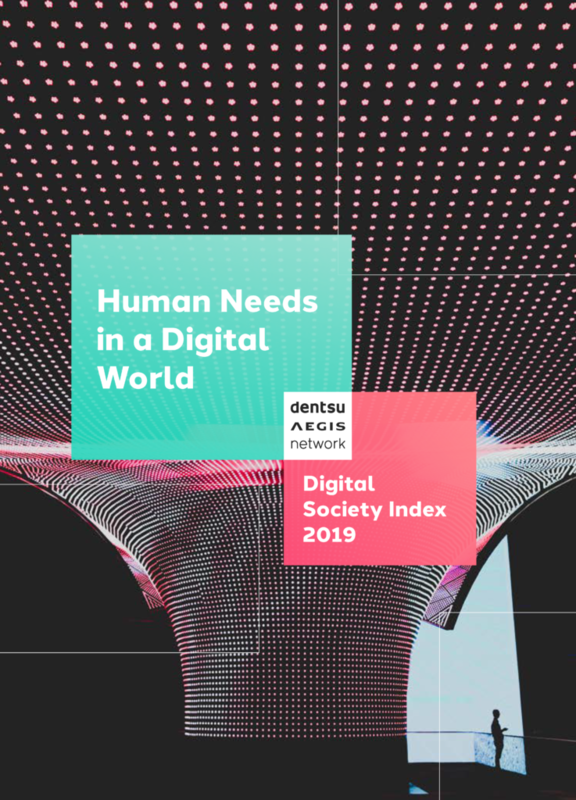 Please visit dentsuaegisnetwork.com to download the report.